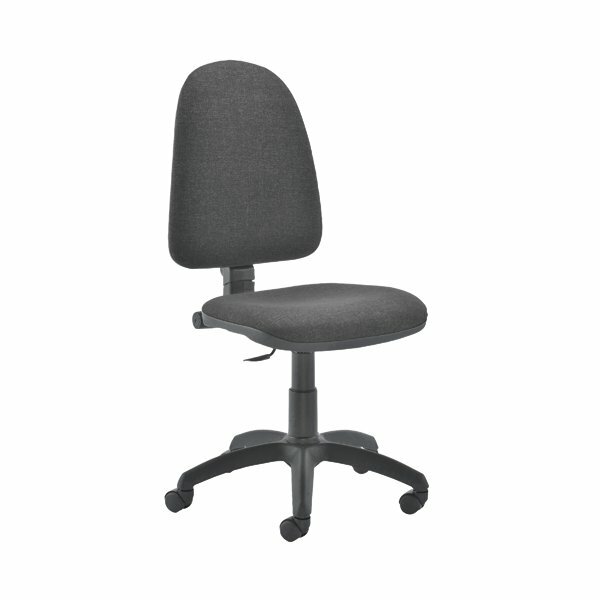 This entry level Jemini high back operator chair features a firm foam back and seat with a charcoal fabric covering. The seat and back height are adjustable, with an option for the angle of the back to be fixed or free floating. Recommended for up to 5 hours usage, this Jemini operator chair sits on five castors for ease of movement.